We offer wide range of residential services.that are patterned exactly to your needs. Our services for residential clients include 24/7 emergency service. We provide multitude commercial services to businesses and offices in Locksmith Queens area. Our professional team is available to you 24 hours, 7 days a week. Car lockout? car keys replacement? Our highly trained locksmiths are available 24/7 for any type of vehicle locksmith services. Where do you turn when you need a locksmith Queens NY? If you’re in the Queens area, then we are your local option to provide you with the fast response that you deserve. With 24/7 emergency locksmith services available, we can unlock any door for you quickly and professionally. Instead of paying outrageous rates to a company that isn’t anywhere near where you all, call your local locksmith experts so that your day will continue on with a minimal interruption. We at Northern Blvd Locksmith, can meet your residential, commercial, or automotive locksmith needs for a fair and competitive price. Our 24/7 emergency services and lockout help are just the beginning of how we can meet your specific needs. Comprehensive vehicular services. Our expert locksmiths can cut and program all vehicle keys at any location. We don’t even need to have spare keys available, allowing you to have a new set made if yours have become lost. We can install all types of locks. Whether you need residential or commercial locksmith Queens NY, we can expertly install the locks you need. This way you can have the adequate security you require for your home or business. Our services are guaranteed. We will unlock your door. We will install your new locks at your home or business with accuracy and care. You can rest assured that the job will get done the right way the first time around. It takes just one moment to have your keys get locked behind a door. Just placing your keys in a different location is enough for them to get lost. 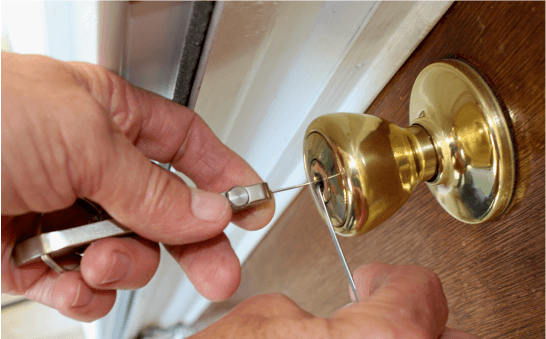 If you need to get on your way right now and there’s a locked door that is stopping you, then we at Northern Blvd Locksmith can help to solve that problem right away. Even if you have had a key break off in your vehicle door or your deadbolt, our locksmiths are available right now to assist. Don’t be tempted to damage your door just to get past the broken key or a broken lock. Let our locksmiths remove the broken key, repair or replace the broken lock, and we’ll do it for a nice price no matter what time you call. Our full line of residential and commercial locks can protect all of your valuables while providing you with the personal security that you deserve. From your file cabinets to your safes and everything in-between, as a Locksmith Queens NY we carry only the top brands in the industry today. When you have a lock installed by one of our expert locksmiths, you can rest assured that your new or upgraded locks will exceed your expectations. Onside lock emergencies can happen at any hour of the day. Whether you want to schedule an appointment to upgrade the locks of your home or business or your vehicle is running and you accidentally locked the door, we will make sure your needs are effectively met. Contact us today and we’ll help you get on your way.